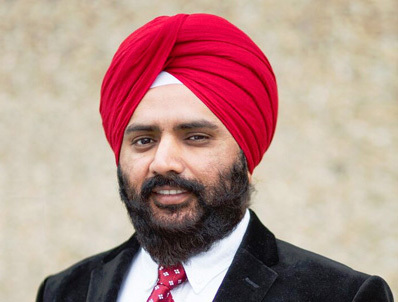 Dr Jaswinder Brar is alumnus of University of Manitoba, faculty of dentistry, where he received his specialty degree in Periodontics. Dr Brar’s research focused on diagnosing periodontal disease by microscope examination of the micro-flora present in the gingival sulcus/periodontal pocket. He graduated from the University of Manitoba in 2007. He subsequently accepted a position of Assistant Professor of Periodontics in the Graduate Periodontics Program, University of Manitoba. Three years in his position, he was honored with two teaching awards for excellence in Graduate clinical teaching, one from the University of Manitoba and the second from the American Academy of Periodontology. Dr. Brar is a fellow of the Royal College of Dentists of Canada (RCDC) and a member of the Canadian and American Academy of Periodontology. As a Board Certified Periodontist, Dr Brar specializes in conservative treatment of periodontal disease, periodontal cosmetic procedures to aesthetically enhance your smile and dental implants that can replace single or multiple missing teeth. Dr Brar has extensive experience with four years as a private practioner in a specialty practice while in Winnipeg. Dr Brar and Dr Manhas bring a unique team approach to each periodontal treatment. They will be introducing IV sedation and extensive bone grafting procedures as added support to your patients dental health needs.